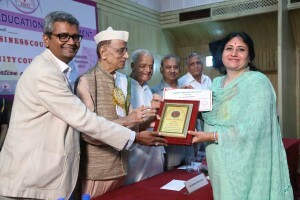 A senior WeSchool faculty , Prof. Dr.Vijayalakshmi R. was awarded the ‘Vidya Ratna’ Award and a certificate of excellence by the International Business Council, New Delhi for her achievements and contributions made by her in the field of healthcare and education for raising research inquiries in areas that deserved attention. Eminent people from professional bodies and industry experts in the area of education and healthcare have suggested her name for the award considering some of the bold recommendations made by her in these fields . She received the award at the hands of Shri. Bhishma Narayan Singh , former Governor of Assam and Tamil Nadu and Union cabinet minister for Parliamentary Affairs, Works and Housing & Labour and Communications as well as Food and Civil Supplies in earlier regimes , in a glittering function at the Supreme court of India, Krishna Menon Bhavan Auditorium in New Delhi, on 5th August 2017. Earlier Prof. Dr.Vijayalakshmi R. had participated in the Conference ‘Twenty Five Years of Liberalization and its Impact on the Indian Financial Sector’ organized by XLRI, Bangalore . 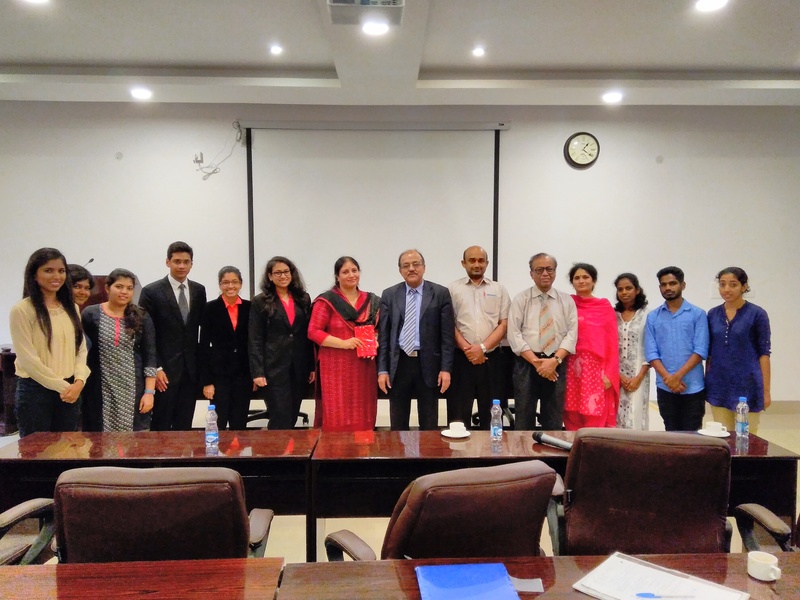 Her research paper titled ‘ Challenges in Detecting and Reporting Innovation Output and Impact on Financial Performance of Pharmaceutical firms’ received the ’ Best Paper Award’ among all the papers presented at the conference. The paper speaks about the challenges in deciphering the technology investments made towards capital and revenue expenditures which are ambiguous when relating them to new business model outcomes both locally and globally and the financial benefits to the firm therefrom. Congratulations Prof. Dr. Vijayalakshmi R.! May you win many more accolades in research in innovative ideas in the times to come ! !